As we partner with organizations and local churches to spread the Gospel around the world, it is inevitable that we also uncover health and social needs like human trafficking, HIV/AIDs, disease and hunger. It’s only natural that in addition to providing access to Hope, we also want to holistically help whenever possible. While doing research for new programs and products in Togo, West Africa, we discovered that one of their greatest struggles is with intestinal health. In Togo, the prevalence of intestinal worms can be as high as 1 out of every 2 persons. Large percentages of the population—especially children—struggle and often die of illnesses that can be easily treated or that are highly preventable with proper education on good hygiene practices. As we seek to bring the hope of the Good News to the next generation, we need to ensure that there will BE a next generation. Hence, prevention is a powerful investment for addressing one of the world’s great systemic issues. Benjamin Franklin’s axiom that “an ounce of prevention is worth a pound of cure” is as true today as the day he uttered those famous words. Seeing the need for both spiritual and physical health, we developed The Hygiene Matters Program. This curriculum aims to improve the lives of children by providing medical treatment to rid them of intestinal worms, teaching healthy hygiene practices to enable them to stay worm-free, and most importantly introducing them to the Good News of Jesus Christ. This hygiene-focused, Scripture-based character education is distributed along with deworming medication to schoolchildren in grades 1-6. Programs like this one fall so perfectly in alignment with our mission—allowing us to pursue better understanding of our audience through research, then applying what we have learned to help develop a relevant, effective program to serve the needs of the kids in Togo. We then depend on partnerships to help garner and supply the medicines needed, and finally we train and encourage local believers to administer the program. The connections and relationships established in distribution allow for future growth discipleship opportunities for any new believers that come to faith through the program—an opportunity that wouldn’t happen if an outsider simply came, delivered medicine and Scripture, then left. This program specifically is implemented using local educators and volunteers like Germaine. Germaine is a midwife and a community health educator who is volunteering her time to train public school teachers on how to use Hygiene Matters in their classrooms. Each of the trainers has prior experience in one or more of the fields of medicine, childcare or education. In one year alone, Germaine—by training teachers to administer the program and medications—will indirectly reach more than 8,000 children with the life-changing word of God, as well as share with them important life-saving hygiene information. Not only are local teachers trained to teach the Hygiene Matters curriculum, but they are also taught how to properly administer albendazole under the supervision of local health professionals. Albendazole is a cost-effective medication that safely eliminates intestinal worms and is recommended by the WHO for annual or bi-annual distribution, depending on worm prevalence. 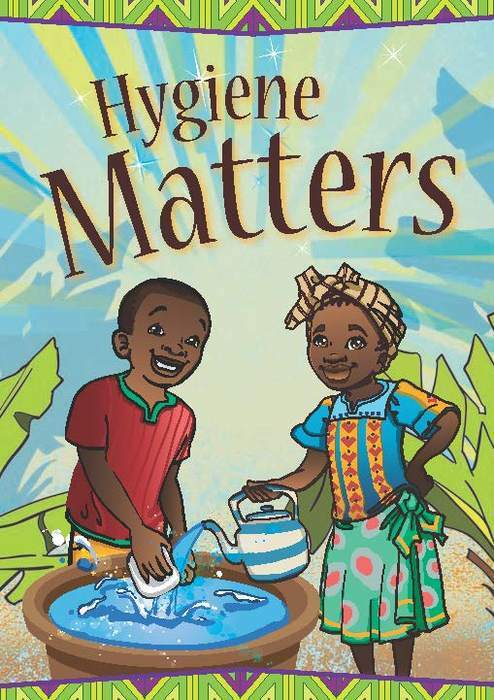 The World Health Organization is optimistic that many of these preventable and treatable health concerns can be prevented or even eradicated by increasing access to already existing, affordable tools like the Hygiene Matters program.